Another assistant coach affiliated with the sweeping federal basketball corruption cases will be pleading guilty. 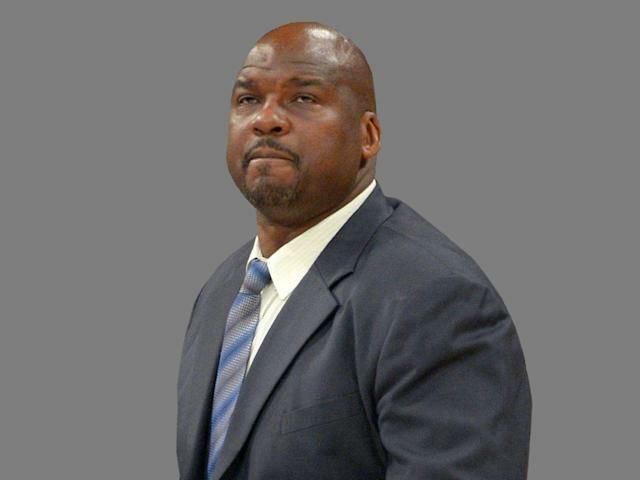 According to documents filed in Manhattan on Friday, former Auburn assistant coach and ex-NBA star Chuck Person will change his plea in his case to guilty at a hearing in New York on Tuesday. Person faces an array of charges, including felony bribery, for an alleged scheme that involved steering Auburn players to a financial adviser when they turn professional. He was charged with accepting more than $90,000 in bribes. Person is expected to take a non-cooperation plea deal, which would make it unlikely that this decision implicates any other coach at Auburn. The news of Person's plea came on the final hours of the last business day before college basketball's biggest weekend of the year, the release of the NCAA tournament bracket on Sunday. Auburn will be among the teams in the field, as Bruce Pearl's Tigers are projected to be a No. 5 seed after beating South Carolina in the SEC tournament on Friday. Auburn fired Person in November of 2017 while he faced charges of bribery, conspiracy and fraud. Person is the fourth assistant college basketball to enter a similar plea agreement, joining USC's Tony Bland, Oklahoma State's Lamont Evans and Arizona's Emanuel "Book" Richardson. They are all awaiting sentencing. Person is the most famous of the 10 men initially arrested in the scheme in September of 2017. He was the fourth-overall pick in the 1986 NBA draft and scored nearly 14,000 NBA points. At Auburn, a place where he's among the greatest in school history, he leaves a complicated legacy. His actions in this case resulted in the ineligibility of Tigers players Austin Wiley and Danjel Purifoy last season. Purifoy also missed nine games from the scandal this season. Auburn has the opportunity to file a victim-impact statement in the case, which will give the school an opportunity to characterize the influence of Person's conduct. It will be interesting to see how they portray Person, the school's all-time leading scorer. Kansas, for example, is seeking $1 million in lawyer fees from its involvement in the first trial, Louisville more than $30,000 and N.C. State nearly $250,000. Person's lawyer, Theresa Trzaskoma, declined comment when reached by Yahoo Sports.